@JKS_cri_j3[장근석의 든든한 빽! 장어들의 스위치 응원 이벤트] 오늘 아침일찍부터 커피차를 直進うなぎ隊(직진장어대)에서 서포트하였습니다! 장근석♡장어♡우리는 항상 서로의 SWITCH! English translation: [Jang Keun Suk's reassuring supporters! 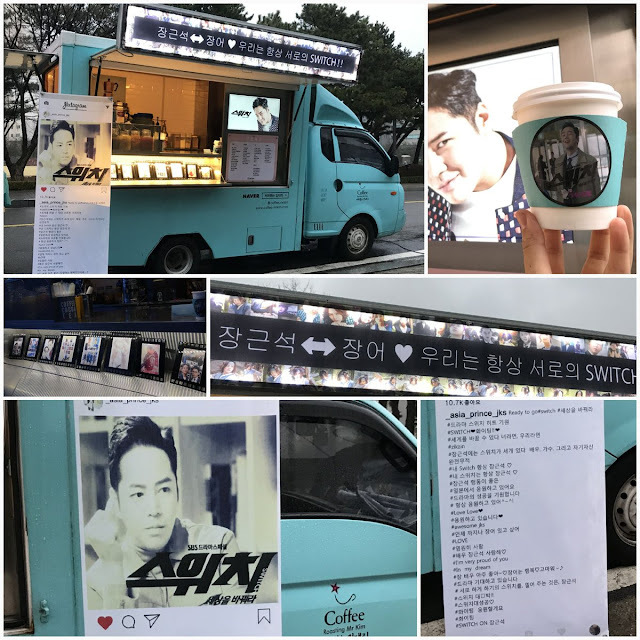 Eels’ Switch support event] Today early in the morning, we supported the coffee and teas at Nagitai (straight eel)! Jang Keun Suk♡Eels♡We always have. SWITCH!